You’re out in the backcountry and… BANG! Out of nowhere, a rainstorm hits you. You could see the clouds coming – but they moved too fast. Now it’s raining buckets and you have nowhere to hide. You’ll be soaked before you find shelter. What if you had a waterproof shelter right in your backpack? What if you had brought your survival poncho? Keep moving: You put on your rainproof poncho, tighten the hood, and keep going. If you had brought your poncho you’d stay dry and warm no matter what. If you ask me – a waterproof poncho should be a mandatory piece of gear for every survivalist. If you’re serious about survival – you need to have one. It’ll keep you dry when you need it the most. With the right knowledge, you can use your poncho as a survival tool. Because finding a good poncho ain’t easy. Sure – back in the day it was a different story. Because you only had the heavy milsurp ones to choose from. But now – there’s plenty of plastic on the market. Fake “Made in China” army ponchos being sold for real ones. “Made in China” won’t cut it for gear like this. Which is why I wrote this guide. Don’t worry – I’ve got your back when it comes to ponchos. 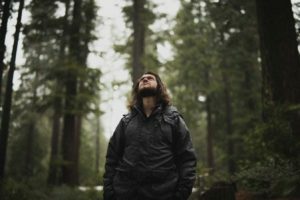 First – I’ll talk about how to choose the best survival poncho. What to look for – and what to avoid. Then – we’ll take a look at the best survival ponchos on the market. Finally – I’ll show you some ways to use your poncho in a survival situation. Here are the 3 rules for buying a poncho that will hold up under any kind of situation. Note: this is the most important rule for a survival poncho. Military and Mil-Spec ponchos can be made into a shelter. Side Note: They’ll have snaps and special holes (grommets) and won’t be sewn together at the sides. They’re also longer than normal ponchos = more protection coverage. The ability to create a makeshift shelter on the spot is invaluable for survival situations. Make sure that your poncho can handle that. It’s also a sign of quality if a poncho can be turned into a shelter. It means that the manufacturer is serious about functionality. You can get a good-enough poncho for about $30. The Chinese ponchos go for about $20. So don’t cheap out on those extra $10. This is the gear that you’ll be relying on in an emergency. Don’t go for a poncho that’ll break on you after 2 weeks of use. You want you poncho to be durable. And Ripstop fabric does not fray. If you get a small rip or a small hole in your poncho – it will not spread. You’ll find ripstop fabric on most serious ponchos out there. Mil-spec or otherwise. But with so many awful products on the market – it doesn’t hurt to double-check. That’s it for the rules. 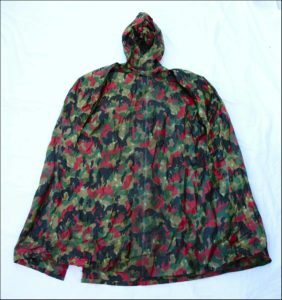 This is a Mil-Spec poncho. 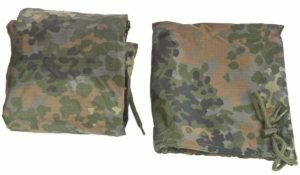 Mil-Spec ponchos are lighter than a military ponchos, but have the same functionality. The Company – Mil-Tec specializes in military gear. Their stuff comes very close to U.S.G.I. gear in quality. The poncho is made in Germany and you can get it in two colors: black and olive green. The poncho is waterproof. It’ll keep you dry in the rain and you won’t sweat as much as you would in those old military surplus ponchos (because it’s not rubberized). Roughly 1.5 pounds, it’s lighter than military surplus ponchos, while still delivering everything you’d expect from a poncho. The reduced weight is one of the main reasons why I like it. At 84 inches in length and 56 inches in width it’ll cover you and your backpack easily. To put a picture in your head, you can even sit down on the ground without getting wet (that’s how much it covers your back). Most Important – the Mil-Tec poncho can be used as a shelter. It’s functional.. It’s big enough and has grommets, so you can attach it to trees and other ponchos with paracord. And use it as a survival tool – more on that below. Compact: Folded in, the poncho is approx. 9 inches long and 7 inches wide. It’s more compact than the military surplus ones – I can fit it inside my shoulder bag no problem. 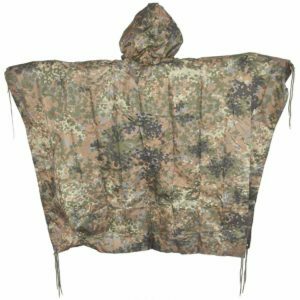 Mil-tec poncho has everything that you’d want from a poncho. It offers great value for the price. It’s easy to find and buy. It’s hands-down the best poncho, especially if you’re on a tight budget. Military ponchos are some of the most solid ones you can get. Usually, they’re real cheap, too. A good military poncho is hard to find. IF you want a military poncho, here’s how to choose. Go for a modern military poncho. Older army ponchos are made out of rubberized nylon. 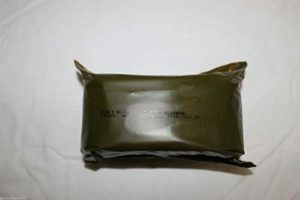 Modern military ponchos are lighter – still nylon, but it is not rubberized. You’ll want to get yourself one of these. Note: An older poncho will be better for colder weather, but… you shouldn’t be relying on your poncho to keep you warm in the first place. Keep an eye out for ponchos made in these countries – U.S., Germany, Switzerland, Netherlands. USGI ponchos are the best. But people also swear by German and Swiss ones. Dutch ponchos are up there, but not as popular. Hit up your local milsurp store and see what they have to offer. When I looked around, the heavy Swiss ones were the easiest to find. I found some going for as little as $10. 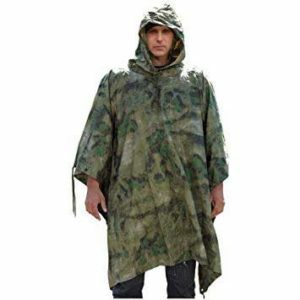 Military ponchos are some of the most durable ponchos that you can buy. But at an average weight of 2 pounds, they’re heavy. They’ll also take up more space in your bag. Also, many (but not all) of military ponchos are sold as used goods. Before buying, check for any damage that they might have (loose threads, holes etc.). So this one’s a little bit different. This Norwegian Military Emergency poncho is strictly for survival emergencies. You can’t built any shelters with it. But it’s still a great product. Here’s why. What makes it special is its small size. At ~7 oz., this poncho will fit into the pocket of your jeans. It’s one of the smallest ponchos that I’ve ever seen. The green camo color will help you blend in with the surroundings. And it’s actually made in Norway. Considering the price – a pleasant surprise. The emergency poncho won’t keep you warm for long. You can’t build a shelter out of it. While it’s not disposable… it won’t last you very long in the forest. So – it’s not a proper poncho and should only be used in an emergency. It’s hard to beat this quality for the price. Especially when you look at how tiny this thing is when packed. 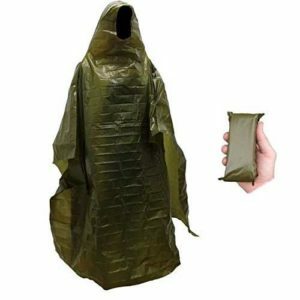 So get a real poncho for your bug out bag… and leave this one for your “get home bag” or “got stuck on the road kit”. …for a little less than 10 bucks. Side Note: It’s also difficult to stuff back into that small bag once you’ve taken it out… so beware. …in an emergency situation, having large amount of strong, waterproof fabric can save your life. This is why every military in the world uses ponchos instead of rain jackets. …your poncho, some branches and a string of paracord are all you need for a makeshift rain shelter. It’s not as good as a real tent, but it takes less time to set up and is lighter to carry. Check out Willow Haven Outdoor for a list of different shelters that you can build. This one’s for real emergencies. But if you need to transport an injured person – four branches, some rope, and a rain poncho are all you need to create a makeshift stretcher. Snap the poncho in place with the buttons. Pull paracord through the holes on the poncho to attach everything together. Side note: a classic example of how the military uses their ponchos. Since the poncho can keep the water out… it can also keep the water in. You can use your poncho as a water bag to carry your H2O from the source to the campsite. If you run out of the water and there is no source nearby, you can use your poncho as a rain collector. Dig a small basin (hole) in the ground and lay your poncho in there. It’ll be filled with delicious potable water after the rain. Picture this – the rain is over and you’re looking for a place to sleep for the night. But the ground is soaked with water – there’s nowhere to put your sleeping bag. No big deal – lay down your poncho on the ground and sleep on top of it. It will keep your sleeping bag from getting wet while you sleep. If someone in your group gets injured or sick, you make a cold compress out of your poncho. This’ll help to with inflammation. Put some snow, ice or cold water into your poncho and wrap it tightly. Push your cold compress against the injury to reduce swelling. If you have a wound that needs to be kept dry, cut out a piece of fabric from the rain poncho and tie it over the normal bandage. This way, the wound will stay dry even if it rains. Say you have a tent for yourself. But too much stuff to fit inside. Or – you could leave the equipment outside. And use your poncho as a waterproof tarp to protect it from the rain. If you need to carry more gear than your backpack can fit (extra food supplies, for example), you can use your poncho as a sack to help you out. The material will be strong enough to handle a modest load. The poncho is a great multi-functional survival tool for your bug-out bag. And these are only some of the ways to use this tool. It’s a good idea to keep one poncho in your bug out bag and one in each of your vehicles as part of the “getting stuck on the road kit”. If I want to stay dry, why shouldn’t I get a rain jacket instead? 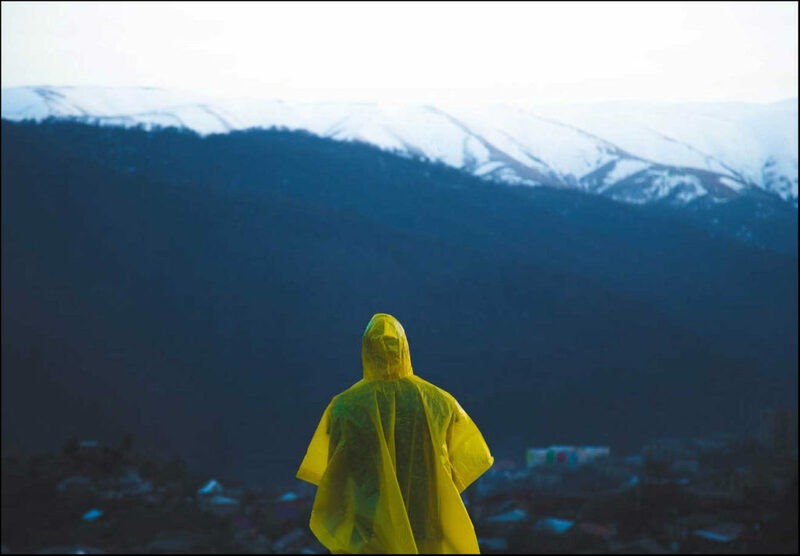 Ponchos are better for emergency and survival situations than rain jackets and rain suits. Rain jackets and suits are better for keeping you dry in the rain than ponchos. They’re also better for hikes – they stay closer to the body so you can move better. They’re also more expensive, breathe less, and take up a more space in your bag. Rain suits have bad ventilation (you’ll sweat a lot) and you won’t be able to make a shelter out them. With ponchos, you’re getting a ton of versatility (and bang for your buck). Out of the three, the poncho is also the only one that will protect your backpack from getting wet. For survival and emergency preparedness, the poncho is a clear winner. In the wind, your poncho will flap around like crazy. This is normal – a quick fix is to tie something around your waist to keep it in place. Any sort of rope will do, but I pack a string of 550 paracord with mine. On the upside, ponchos are very well-ventilated because of their flapping – they’ll dry quicker after the rain. Poncho Liner (Woobie) – What is it and should you get one? Poncho liner (known in the military as the woobie) is a piece of fabric that goes underneath your poncho to make it warmer. It’s resistant to extreme heat and cold, dries fast and can be squished into a small ball that you can put in your backpack. Here’s a about the woobie and all the things that you can do with it. If you have a sleeping bag in your BOB, you’re probably fine without the liner. It won’t hurt having one because it’s another piece of cloth to keep you warm. The thing is… you can use the extra space to store additional food supplies instead. There’s always a tradeoff, and you’ll have to decide for yourself. Ol’ good poncho is one of the best pieces of gear to protect you against the rain in an emergency. I strongly recommend having at least one in your bug out kit. If you don’t have space get the SOL emergency poncho – it’ll keep you dry just as well. When you get your poncho, practice setting up the shelter at home first. Give it a test run in your backyard. This way, you’ll be prepared to use it in case of SHTF whenever you are.